"Jung" redirects here. For other uses, see Jung (disambiguation). Carl Gustav Jung (/jʊŋ/; Swiss German pronunciation: [ˈkarl ˈɡʊstaf jʊŋ]; 26 July 1875 – 6 June 1961) was a Swiss psychiatrist and psychoanalyst who founded analytical psychology. His work has been influential not only in psychiatry but also in philosophy, anthropology, archaeology, literature, religious studies, quantum mechanics and psychobiology as well as neuroscience. As a notable research scientist based at the famous Burghölzli hospital, under Eugen Bleuler, he came to the attention of a Viennese neurologist, Sigmund Freud. The two men conducted a lengthy correspondence and collaborated on an initially joint vision of human psychology. Freud saw in the younger man, the potential "aryan" heir he had been seeking to carry on his "new science" of Psychoanalysis. Jung's researches and personal vision, however, made it impossible for him to bend to his older colleague's dogma and a breach became inevitable. This break was to have historic as well as painful personal repercussions that have lasted to this day. Jung was in addition, an artist, craftsman and builder as well as a prolific writer. Many of his works were not published until after his death and some are still awaiting publication. Among the central concepts of analytical psychology is individuation—the life-long psychological process of differentiation of the self out of each individual's conscious and unconscious elements. Jung considered it to be the main task of human development. He created some of the best known psychological concepts, including synchronicity, archetypal phenomena, the collective unconscious, the psychological complex, and extraversion and introversion. The clergy house of Kleinhüningen, where Carl Gustav Jung grew up. Carl Gustav Jung[lower-alpha 1] was born in Kesswil, in the Swiss canton of Thurgau, on 26 July 1875 as the second, and first surviving, child of Paul Achilles Jung and Emilie Preiswerk. Emilie was the youngest child of Samuel Preiswerk and his wife. The senior Preiswerk was a wealthy professional man, who taught Paul Achilles Jung as his professor of Hebrew. Jung's father was a poor rural pastor in the Swiss Reformed Church; his mother had grown up in a wealthy Swiss family. When Jung was six months old, his father was appointed to a more prosperous parish in Laufen, but the tension between his parents was growing. Emilie Jung was an eccentric and depressed woman; she spent considerable time in her bedroom, where she said that spirits visited her at night. Jung had a better relationship with his father. Although she was normal during the day, Jung said that, at night, his mother became strange and mysterious. Jung said that one night he saw a faintly luminous and indefinite figure coming from her room with a head detached from the neck and floating in the air in front of the body. Jung's mother left Laufen for several months of hospitalization near Basel for an unknown physical ailment. His father took the boy to be cared for by Emilie Jung's unmarried sister in Basel, but he was later brought back to his father's residence. Emilie Jung's continuing bouts of absence and often depressed mood influenced her son's attitude towards women — one of "innate unreliability". This was a view that he later called the "handicap I started off with." He believed it contributed to his sometimes patriarchal views of women, but these were common in his society. After three years of living in Laufen, Paul Jung requested a transfer; he was called to Kleinhüningen, next to Basel in 1879. The relocation brought Emilie Jung in closer contact to her family and lifted her melancholy. Jung was a solitary and introverted child. From childhood, he believed that, like his mother, he had two personalities—a modern Swiss citizen and a personality more suited to the eighteenth century. "Personality Number 1", as he termed it, was a typical schoolboy living in the era of the time. "Personality Number 2" was a dignified, authoritative and influential man from the past. Although Jung was close to both parents, he was disappointed by his father's academic approach to faith. A number of childhood memories made lifelong impressions on him. As a boy, he carved a tiny mannequin into the end of the wooden ruler from his pencil case and placed it inside the case. He added a stone, which he had painted into upper and lower halves, and hid the case in the attic. Periodically, he would return to the mannequin, often bringing tiny sheets of paper with messages inscribed on them in his own secret language. He later reflected that this ceremonial act brought him a feeling of inner peace and security. Years later, he discovered similarities between his personal experience and the practices associated with totems in indigenous cultures, such as the collection of soul-stones near Arlesheim or the tjurungas of Australia. He concluded that his intuitive ceremonial act was an unconscious ritual, which he had practiced in a way that was strikingly similar to those in distant locations which he, as a young boy, knew nothing about. His conclusions about symbols, psychological archetypes, and the collective unconscious were inspired, in part, by these experiences. At the age of twelve, shortly before the end of his first year at the Humanistisches Gymnasium in Basel, Jung was pushed to the ground by another boy so hard that he momentarily lost consciousness. (Jung later recognized that the incident was his fault, indirectly.) A thought then came to him—"now you won't have to go to school anymore." From then on, whenever he walked to school or began homework, he fainted. He remained at home for the next six months until he overheard his father speaking hurriedly to a visitor about the boy's future ability to support himself. They suspected he had epilepsy. Confronted with the reality of his family's poverty, he realized the need for academic excellence. He went into his father's study and began poring over Latin grammar. He fainted three more times but eventually overcame the urge and did not faint again. This event, Jung later recalled, "was when I learned what a neurosis is." 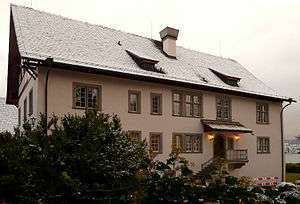 In 1900 Jung began working at the Burghölzli psychiatric hospital in Zürich with Eugen Bleuler. Bleuler was already in communication with the Austrian neurologist Sigmund Freud. Jung's dissertation, published in 1903, was titled On the Psychology and Pathology of So-Called Occult Phenomena. In 1906 he published Studies in Word Association, and later sent a copy of this book to Freud. Eventually a close friendship and a strong professional association developed between the elder Freud and Jung, which left a sizeable trove of correspondence. For six years they cooperated in their work. In 1912, however, Jung published Wandlungen und Symbole der Libido (known in English as Psychology of the Unconscious), which made manifest the developing theoretical divergence between the two. Consequently, their personal and professional relationship fractured—each stating that the other was unable to admit he could possibly be wrong. After the culminating break in 1913, Jung went through a difficult and pivotal psychological transformation, exacerbated by the outbreak of the First World War. Henri Ellenberger called Jung's intense experience a "creative illness" and compared it favorably to Freud's own period of what he called neurasthenia and hysteria. During World War I Jung was drafted as an army doctor and soon made commandant of an internment camp for British officers and soldiers (Swiss neutrality obliged the Swiss to intern personnel from either side of the conflict who crossed their frontier to evade capture). Jung worked to improve the conditions of soldiers stranded in neutral territory and encouraged them to attend university courses. In 1903, Jung married Emma Rauschenbach, seven years his junior and the elder daughter of a wealthy industrialist in eastern Switzerland, Johannes Rauschenbach-Schenck, and his wife. Rauschenbach was the owner, among other concerns, of IWC Schaffhausen - the International Watch Company, manufacturers of luxury time-pieces. Upon his death in 1905, his two daughters and their husbands became owners of the business. Jung's brother-in-law became the principal proprietor, but the Jungs remained shareholders in a thriving business that ensured the family's financial security for decades. Emma Jung, whose education had been limited, evinced considerable ability and interest in her husband's research and threw herself into studies and acted as his assistant at Burghölzli. She eventually became a noted psychoanalyst in her own right. They had five children: Agathe, Gret, Franz, Marianne, and Helene. The marriage lasted until Emma's death in 1955. During his marriage, Jung engaged in extramarital relationships. His alleged affair with Sabina Spielrein and with Toni Wolff were the most widely discussed. Though it was mostly taken for granted that Jung's relationship with Spielrein included a sexual relationship, this assumption has been disputed, in particular by Henry Zvi Lothane. Jung and Freud influenced each other during the intellectually formative years of Jung's life. Jung had become interested in psychiatry as a student by reading Psychopathia Sexualis by Richard von Krafft-Ebing. In 1900, Jung completed his degree, and started work as an intern (voluntary doctor) under the psychiatrist, Eugen Bleuler at Burghölzli Hospital. It was Bleuler who introduced him to the writings of Freud by asking him to write a review of the The Interpretation of Dreams (1899). In 1905 Jung was appointed as a permanent 'senior' doctor at the hospital and also became a lecturer Privatdozent in the medical faculty of Zurich University. In that period psychology as a science was still in its early stages, but Jung became a qualified proponent of Freud's new "psycho-analysis." At the time, Freud needed collaborators and pupils to validate and spread his ideas. 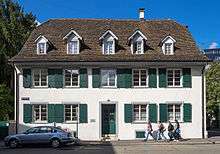 Burghölzli was a renowned psychiatric clinic in Zurich and Jung's research had already gained him international recognition. Preceded by a lively correspondence, Jung met Freud for the first time, in Vienna on 3 March 1907. In 1908, Jung became an editor of the newly founded Yearbook for Psychoanalytical and Psychopathological Research. 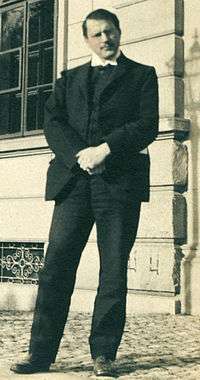 in 1909, Jung traveled with Freud and the Hungarian psychoanalyst Sándor Ferenczi to the United States; they took part in a conference at Clark University in Worcester, Massachusetts. The conference at Clark University was planned by the psychologist G. Stanley Hall and included twenty-seven distinguished psychiatrists, neurologists and psychologists. It represented a watershed in the acceptance of psychoanalysis in North America. This forged welcome links between Jung and influential Americans. Jung returned to the United States the next year for a brief visit. In 1910, Jung became Chairman for Life of the International Psychoanalytical Association with Freud's support. Freud would come to call Jung "his adopted eldest son, his crown prince and successor." Jung outside Burghölzli in 1910. While Jung worked on his Wandlungen und Symbole der Libido (Psychology of the Unconscious), tensions became manifest between him and Freud because of their disagreements over the nature of libido and religion. Jung de-emphasized the importance of sexual development and focused on the collective unconscious: the part of unconscious that contains memories and ideas that Jung believed were inherited from ancestors. While he did think that libido was an important source for personal growth, unlike Freud, Jung did not believe that libido alone was responsible for the formation of the core personality. Jung believed his personal development was influenced by factors he felt were unrelated to sexuality. Another primary disagreement with Freud stemmed from their differing concepts of the unconscious. Jung saw Freud's theory of the unconscious as incomplete and unnecessarily negative and inelastic. According to Jung, Freud conceived the unconscious solely as a repository of repressed emotions and desires. Jung's observations overlap to an extent with Freud's model of the unconscious, what Jung called the "personal unconscious", but his hypothesis is more about a process than a static model and he also proposed the existence of a second, overarching form of the unconscious beyond the personal, that he named the psychoid - a term borrowed from Driesch, but with a somewhat altered meaning. The collective unconscious, is not so much a 'geographical location', but a deduction from the alleged ubiquity of archetypes over space and time. Freud had actually mentioned a collective level of psychic functioning but saw it primarily as an appendix to the rest of the psyche. It was the publication of Jung's book Psychology of the Unconscious in 1912 that led to the break with Freud. Letters they exchanged show Freud's refusal to consider Jung's ideas. This rejection caused what Jung described in his 1962 autobiography, Memories, Dreams, Reflections, as a "resounding censure". Everyone he knew dropped away except for two of his colleagues. Jung described his book as "an attempt, only partially successful, to create a wider setting for medical psychology and to bring the whole of the psychic phenomena within its purview." (The book was later revised and retitled Symbols of Transformation in 1922). Jung left no posthumous instructions about the final disposition of what he called the Liber Novus or the Red Book. His family eventually moved it into a bank vault in 1984. Sonu Shamdasani, an historian of psychology from London, tried for three years to persuade Jung's resistant heirs to have it published. Up to mid-September 2008, fewer than two dozen people had seen it. Ulrich Hoerni, Jung's grandson who manages the Jung archives, decided to publish it to raise the additional funds needed when the Philemon Foundation was founded. Jung made a more extensive trip westward in the winter of 1924–5, financed and organized by Fowler McCormick and George Porter. Of particular value to Jung was a visit with Chief Mountain Lake of the Taos Pueblo near Taos, New Mexico. Jung made another trip to America in 1936, giving lectures in New York and New England for his growing group of American followers. He returned in 1937 to deliver the Terry Lectures, later published as Psychology and Religion, at Yale University. In December 1937, Jung left Zurich again for an extensive tour of India with Fowler McCormick. In India, he felt himself "under the direct influence of a foreign culture" for the first time. In Africa, his conversations had been strictly limited by the language barrier, but in India he was able to converse extensively. Hindu philosophy became an important element in his understanding of the role of symbolism and the life of the unconscious, though he avoided a meeting with Ramana Maharshi. He described Ramana as being absorbed in "the self", but admits to not understanding Ramana's self-realisation or what he actually did do. He also admits that his field of psychology is not competent in understanding the eastern insight of the Atman "the self". Jung became seriously ill on this trip and endured two weeks of delirium in a Calcutta hospital. After 1938, his travels were confined to Europe. Though he was a practicing clinician and as such founded of the school of analytical psychology, much of his life's work was spent exploring tangential areas such as Eastern and Western philosophy, alchemy, astrology, and sociology, as well as literature and the arts. Jung's interest in philosophy and the occult led many to view him as a mystic, although his ambition was to be seen as a man of science. Synchronicity - an a-causal principle as a basis for the apparently random simultaneous occurrence of phenomena. Extraversion and introversion - personality traits contributing to Personality type. Individuation - a process of wholeness "which negates neither the conscious or unconscious position but does justice to them both". Jung was one of the first people to define introversion and extraversion in a psychological context. In Jung’s Psychological Types, he theorizes that each person falls into one of two categories, the introvert and the extravert. These two psychological types Jung compares to ancient archetypes, Apollo and Dionysus. The introvert is likened with Apollo, who shines light on understanding. The introvert is focused on the internal world of reflection, dreaming and vision. Thoughtful and insightful, the introvert can sometimes be uninterested in joining the activities of others. The extravert is associated with Dionysus, interested in joining the activities of the world. The extravert is focused on the outside world of objects, sensory perception and action. Energetic and lively, the extrovert may lose their sense of self in the intoxication of Dionysian pursuits. Jungian introversion and extraversion is quite different from the modern idea of introversion and extroversion. Modern theories often stay true to behaviourist means of describing such a trait (sociability, talkativeness, assertiveness etc.) whereas Jungian introversion and extraversion is expressed as a perspective: introverts interpret the world subjectively, whereas extraverts interpret the world objectively. In his psychological theory – which is not necessarily linked to a particular theory of social structure – the persona appears as a consciously created personality or identity fashioned out of part of the collective psyche through socialization, acculturation and experience. Jung applied the term persona, explicitly because, in Latin, it means both personality and the masks worn by Roman actors of the classical period, expressive of the individual roles played. Jung's theory has become enormously influential in management theory; not just because managers and executives have to create an appropriate "management persona" (a corporate mask) and a persuasive identity, but also because they have to evaluate what sort of people the workers are, in order to manage them (for example, using personality tests and peer reviews). Jung's work on himself and his patients convinced him that life has a spiritual purpose beyond material goals. Our main task, he believed, is to discover and fulfill our deep innate potential. Based on his study of Christianity, Hinduism, Buddhism, Gnosticism, Taoism, and other traditions, Jung believed that this journey of transformation, which he called individuation, is at the mystical heart of all religions. It is a journey to meet the self and at the same time to meet the Divine. Unlike Freud's objectivist worldview, Jung's pantheism may have led him to believe that spiritual experience was essential to our well-being, as he specifically identifies individual human life with the universe as a whole. Jung's ideas on religion gave a counterbalance to the Freudian scepticism of religion. Jung's idea of religion as a practical road to individuation has been quite popular and is still treated in modern textbooks on the psychology of religion, though his ideas have also been criticized. Hazard took Jung's advice seriously and set about seeking a personal spiritual experience. He returned home to the United States and joined a First-Century Christian evangelical movement known as the Oxford Group (later known as Moral Re-Armament). He also told other alcoholics what Jung had told him about the importance of a spiritual experience. One of the alcoholics he brought into the Oxford Group was Ebby Thacher, a long-time friend and drinking buddy of Bill Wilson, later co-founder of Alcoholics Anonymous (AA). Thacher told Wilson about the Oxford Group, and through them Wilson became aware of Hazard's experience with Jung. The influence of Jung thus indirectly found its way into the formation of Alcoholics Anonymous, the original twelve-step program, and from there into the whole twelve-step recovery movement, although AA as a whole is not Jungian and Jung had no role in the formation of that approach or the twelve steps. The above claims are documented in the letters of Jung and Bill Wilson, excerpts of which can be found in Pass It On, published by Alcoholics Anonymous. Although the detail of this story is disputed by some historians, Jung himself discussed an Oxford Group member, who may have been the same person, in talks given around 1940. The remarks were distributed privately in transcript form, from shorthand taken by an attender (Jung reportedly approved the transcript), and later recorded in Volume 18 of his Collected Works, The Symbolic Life ("For instance, when a member of the Oxford Group comes to me in order to get treatment, I say, 'You are in the Oxford Group; so long as you are there, you settle your affair with the Oxford Group. I can't do it better than Jesus.'" Jung goes on to state that he has seen similar cures among Roman Catholics). Jung influenced quantum mechanics with the idea of synchronicity as a mode of relationship that is not causal, an idea that has influenced Wolfgang Pauli (with whom he developed the notion of unus mundus in connection with the notion of nonlocality) and some other physicists. In 1944 Jung published Psychology and Alchemy, in which he analyzed the alchemical symbols and came to the conclusion that there is a direct relationship between them and the psychoanalytical process. [lower-alpha 2] He argued that the alchemical process was the transformation of the impure soul (lead) to perfected soul (gold), and a metaphor for the individuation process. Jung proposed that art can be used to alleviate or contain feelings of trauma, fear, or anxiety and also to repair, restore and heal. In his work with patients and in his own personal explorations, Jung wrote that art expression and images found in dreams could be helpful in recovering from trauma and emotional distress. He often drew, painted, or made objects and constructions at times of emotional distress, which he recognized as more than recreational. Jung stressed the importance of individual rights in a person's relation to the state and society. He saw that the state was treated as "a quasi-animate personality from whom everything is expected" but that this personality was "only camouflage for those individuals who know how to manipulate it", and referred to the state as a form of slavery. He also thought that the state "swallowed up [people's] religious forces", and therefore that the state had "taken the place of God"—making it comparable to a religion in which "state slavery is a form of worship". Jung observed that "stage acts of [the] state" are comparable to religious displays: "Brass bands, flags, banners, parades and monster demonstrations are no different in principle from ecclesiastical processions, cannonades and fire to scare off demons". From Jung's perspective, this replacement of God with the state in a mass society led to the dislocation of the religious drive and resulted in the same fanaticism of the church-states of the Dark Ages—wherein the more the state is 'worshipped', the more freedom and morality are suppressed; this ultimately leaves the individual psychically undeveloped with extreme feelings of marginalization. There are writings showing that Jung's sympathies were against, rather than for, Nazism. [lower-alpha 3] In his 1936 essay "Wotan", Jung described the influence of Hitler on Germany as "one man who is obviously 'possessed' has infected a whole nation to such an extent that everything is set in motion and has started rolling on its course towards perdition." Evidence contrary to Jung’s denials has been adduced with reference to his writings, correspondence and public utterances of the 1930s. Attention has been drawn to articles Jung published in the Zentralblatt fur Psychotherapie stating: “The Aryan unconscious has a greater potential than the Jewish unconscious” and "The Jew, who is something of a nomad, has never yet created a cultural form of his own and as far as we can see never will". His remarks on the superiority of the "Aryan unconscious" and the “corrosive character” of Freud’s “Jewish gospel” have been cited as evidence of an anti-semitism “fundamental to the structure of Jung’s thought”. Laurens van der Post, Afrikaner author who claimed to have had a 16-year friendship with Jung, from which a number of books and a film were created about Jung's life. The accuracy of van der Post's claims about the closeness of his relationship to Jung has been questioned. Hermann Hesse, author of works such as Siddhartha and Steppenwolf, was treated by Joseph Lang, a student of Jung. For Hesse this began a long preoccupation with psychoanalysis, through which he came to know Jung personally. Original statue of Jung in Mathew Street, Liverpool, a half-body on a plinth captioned "Liverpool is the pool of life"
American Abstract Expressionist Jackson Pollock underwent Jungian psychotherapy in 1939 with Joseph Henderson. His therapist made the decision to engage him through his art, and had Pollock make drawings, which led to the appearance of many Jungian concepts in his paintings. Contrary to some sources, Jung did not visit Liverpool but recorded a dream in which he had, and of which he wrote "Liverpool is the pool of life, it makes to live." As a result, a statue of Jung was erected in Mathew Street in 1987 but, being made of plaster, was vandalised and replaced by a more durable version in 1993. Musician David Bowie described himself as Jungian in his relationship to dreams and the unconscious. Australian artist Tanja Stark extensively explored Jungian aspects of his work in her essay "Crashing Out with Sylvian: David Bowie, Carl Jung and the Unconscious". Bowie sang of Jung on his album Aladdin Sane (a word play on sanity) and attended the exhibition of The Red Book in New York with artist Tony Oursler, who described Bowie as "... reading and speaking of the psychoanalyst with passion". Bowie's 1967 song "Shadow Man" poetically encapsulates a key Jungian concept, while in 1987 Bowie tellingly described the Glass Spiders of Never Let Me Down as Jungian mother figures around which he not only anchored a worldwide tour, but also created an enormous onstage effigy. The Police released an album called Synchronicity influenced by the ideas of Jung. The album cover artwork features a photograph of lead singer Sting reading Jung's book Synchronicity, with text from this book overlaid across the image. Federico Fellini brought to the screen an exuberant imagery shaped by his encounter with the ideas of Jung, especially Jungian dream interpretation. Fellini preferred Jung to Freud because Jungian analysis defined the dream not as a symptom of a disease that required a cure but rather as a link to archetypal images shared by all of humanity. BBC interview with Jung for Face to Face with John Freeman at Jung's home in Zurich. 1959. The Soul Keeper, a 2002 film about Sabina Spielrein and Jung. A Dangerous Method, a 2011 film directed by David Cronenberg based on Hampton's play The Talking Cure, is a fictional dramatisation of Jung's life as a psychoanalyst between 1904 and 1913. It mainly concerns his relationships with Freud and Sabina Spielrein, a Russian woman who became his lover and student and, later, an analyst herself. Matter of Heart (1986), a documentary on Jung featuring interviews with those who knew him and archive footage. Carl Gustav Jung, Salomón Shang, 2007. A documentary film made of interviews with C. G. Jung, found in American university archives. The Persona series of games is heavily based on his theories. ↑ As a university student Jung changed the modernized spelling of Karl to the original family form of Carl. Bair, Deirdre (2003). Jung: A Biography. New York: Back Bay Books. pp. 7, 53. ISBN 0-316-15938-7. ↑ 'For Jung, alchemy is not only part of the pre-history of chemistry, that is, not only laboratory work, but also an essential part of the history of psychology as the history of the discovery of the deep structure of the psyche and its unconscious. Jung emphasized the signiﬁcance of the symbolic structure of alchemical texts, a structure that is understood as a way independent of laboratory research, as a structure per se.' Calian, George Florin (2010). Alkimia Operativa and Alkimia Speculativa. Some Modern Controversies on the Historiography of Alchemy. Budapest: Annual of Medieval Studies at CEU. pp. 167–168. ↑ C. G. Jung, Die Beziehungen zwishen dem Ich und dem Unbewußten, chapter one, second section, 1928. Also, C. G. Jung, Aufsatze zur Zeitgeschichte, 1946. Speeches made in 1933, 1937 are excerpted. He was protesting the "slavery by the government" and the "chaos and insanity" of the mob, because of the very fact that they were the part of the mob and were under its strong influence. He wrote that because of the speeches he delivered he was blacklisted by the Nazis. They eliminated his writings. ↑ A full response from Jung discounting the rumors can be found in C. G Jung Speaking, Interviews and Encounters, Princeton University Press, 1977. 1 2 Polly Young-Eisendrath. The Cambridge Companion To Jung. Cambridge University, 2010. pp. 24–30. ↑ Brome, Vincent (1978). Jung (1 ed.). New York: Atheneum. p. 28. 1 2 Memories, Dreams, Reflections. p. 18. ↑ Dunne, Claire (2002). Carl Jung: Wounded Healer of the Soul: An Illustrated Biography. Continuum. p. 5. ↑ Memories, Dreams, Reflections, p. 8. 1 2 3 4 Corbett, Sara (16 September 2009). "The Holy Grail of the Unconscious". The New York Times. Retrieved 2009-09-20. ↑ Stepp, G. "Carl Jung: Forever Jung". Vision Journal. Retrieved 19 December 2011. ↑ Memories, Dreams, Reflections. pp. 33–34. 1 2 3 Malchiodi, Cathy A. (2006). The Art Therapy Sourcebook. McGraw-Hill Professional. p. 134. ISBN 978-0-07-146827-5. ↑ Memories, Dreams, Reflections. pp. 22–23. ↑ Memories, Dreams, Reflections. p. 30. ↑ Memories, Dreams, Reflections. p. 32. ↑ See section Relationship with Freud. ↑ Crowley, Vivianne (1999). Jung: A Journey of Transformation. Quest Books. p. 56. ISBN 0-8356-0782-8. ↑ "C. G. JUNG: Experiences". IWC Schaffhausen. Retrieved 2015-09-07. ↑ Hayman, Ronald (1999). A Life of Jung. New York: W.W. Norton & Co. pp. 84–5, 92, 98–9, 102–7, 121, 123, 111, 134–7, 138–9, 145, 147, 152, 176, 177, 184, 185, 186, 189, 194, 213–4. ISBN 0-393-01967-5. ↑ A Life of Jung. pp. 184–8, 189, 244, 261, 262. ↑ Peter Gay, Freud: A life for Our Time (London, 1988) p. 202. ↑ Rosenzwieg, Saul (1992). Freud, Jung and Hall the King-Maker. ISBN 0-88937-110-5. ↑ Carlson, Heth (2010). Psychology: The Science of Behavior. Upper Saddle River, NJ: Pearson. p. 434. ISBN 978-0-205-64524-4. ↑ Mary Williams, “The Indivisibility of the Personal and Collective Unconscious”, Journal of Analytical Psychology 8.1, January 1963. See also: Jung, Collected Works vol. 9.I (1959), "The Concept of the Collective Unconscious" (1936), ¶91 (p. 43). ↑ Addison, Ann (2009). "Jung, vitalism and the psychoid: an historical reconstruction". 54, no.1. Journal of Analytical Psychology: 123. ↑ Jones, Ernest, ed. Lionel Trilling and Steven Marcus. The Life and Work of Sigmund Freud, New York: Anchor Books, 1963. 1 2 Vernon, Mark (6 June 2011). "Carl Jung, part 2: A troubled relationship with Freud – and the Nazis". The Guardian. Retrieved 7 June 2015. ↑ Jung, C. G. (1916). Collected Papers on Analytical Psychology. Dr. Constance E. Long. Bailliere, Tindall and Cox. 1 2 "The Red Book of C. G. Jung". Rubin Museum of Art. Archived from the original on 11 July 2009. Retrieved 2009-09-20. 1 2 McGuire, William (1995). "Firm Affinities: Jung's relations with Britain and the United States". Journal of Analytical Psychology. 40 (3): 301–326. doi:10.1111/j.1465-5922.1995.00301.x. ↑ Duvall, John N. (2008). Race and White Identity in Southern Fiction: From Faulkner to Morrison. Palgrave Macmillan. p. 165. ISBN 9780230611825. ↑ Burleson, Blake W. (2005). Jung in Africa. ISBN 0-8264-6921-3. ↑ Bair, Deirdre (2003). Jung: A Biography. pp. 417–430. ISBN 0-316-07665-1. ↑ The Collected Works of C. G. Jung, Page = 152, by Siegfried M. Clemens, Carl Gustav Jung, 1978. ↑ In Psychology and Religion, v.11, Collected Works of C. G. Jung, Princeton. It was first published as Antwort auf Hiob, Zurich, 1952 and translated into English in 1954, in London. ↑ Hayman, Ronald (2001). A Life of Jung. New York: W.W. Norton. p. 450. ISBN 0-393-01967-5. ↑ Bair, Deirdre (2003). Jung. Boston: Little, Brown. pp. 622–3. ISBN 0-316-07665-1. ↑ Lachman, Gary (2010). Jung the Mystic. New York: Tarcher/Penguin. p. 258. ISBN 978-1-58542-792-5. ↑ Dicks-Mireau, M.J. (1964). 'Extraversion-Introversion in Experimental Psychology:Examples of Experimental Evidence and their Theoretical Explanations', Journal of Analytical Psychology, 9,2. ↑ C.G. Jung. Psychological Types. Princeton University Press, 1971. pp. 136–147. ↑ Stepp, G. "People: Who Needs Them". Vision Journal. Retrieved 19 December 2011. ↑ Arild, Sigurd (19 April 2014). "5 Basic Facts about Jung and Types". CelebrityTypes. CelebrityTypes International. p. 1. Retrieved 9 June 2015. ↑ Jolande Székács Jacobi, Masks of the Soul. William B. Eerdmans Publishing Company, 1977; Robert H. Hopcke, Persona. Berkeley: Shambhala Publications, 1995. ↑ Carl Gustav Jung", The Relations between the Ego and the Unconscious", in: Joseph Campbell (ed. ), The Portable Jung. New York: Viking Press, 1971, p. 106. ↑ Carl Gustav Jung, Two Essays on Analytical Psychology. Princeton, NJ: Princeton University Press, 2nd ed. 1977, p. 157. ↑ Joann S. Lublin, "How to Look and Act Like a Leader", Wall Street Journal, 12 September 2011. ↑ Kees van der Pijl, "May 1968 and the Alternative Globalist Movement – Cadre Class Formation and the Transition to Socialism". In: Angelika Ebbinghaus et al. (ed. ), 1968: A View of the Protest Movements 40 Years after, from a Global Perspective. 43rd International Conference of Labour and Social History 2008. Vienna: Akademische Verlagsanstalt, 2009, pp. 192, 193, 194. ↑ Frick, Eckhard; Lautenschlager, Bruno (2007). Auf Unendliches bezogen – Spirituelle Entdeckungen bei C. G. Jung. Munich: Koesel. p. 204. ISBN 978-3-466-36780-1. ↑ Crowley, Vivianne (2000). Jung: A Journey of Transformation: Exploring His Life and Experiencing His Ideas. Wheaton Illinois: Quest Books. ISBN 978-0-8356-0782-7. ↑ Wulff 1991, p. 411-466. ↑ Levin, Jerome David (1995). "Other Etiological Theories of Alcoholism". Introduction to Alcoholism Counseling. Taylor & Francis. p. 167. ISBN 978-1-56032-358-7. ↑ Alcoholics Anonymous World Services, Inc. (1984) Pass It On: The Story of Bill Wilson and How the A.A. Message Reached the World. New York: Alcoholics Anonymous World Services, Inc. ISBN 0-916856-12-7, page. 381–386. ↑ Jung, C. G. and Wolfgang Pauli, The Interpretation of Nature and Psyche, New York: Pantheon Books, 1955. ↑ Jung, Carl (2006). The Undiscovered Self: The Problem of the Individual in Modern Society. New American Library. pp. 15–16. ISBN 0-451-21860-4. ↑ C. G. Jung, Die Beziehungen zwischen dem Ich und dem Unbewußten, chapter one, second section, 1928. Also, C. G. Jung Aufsätze zur Zeitgeschichte, 1946. Speeches made in 1933 and 1937 are excerpted. ↑ Jung, Carl (2006). The Undiscovered Self: The Problem of the Individual in Modern Society. New American Library. p. 14. ISBN 0-451-21860-4. 1 2 Jung, Carl (2006). The Undiscovered Self: The Problem of the Individual in Modern Society. New American Library. pp. 23–24. ISBN 0-451-21860-4. ↑ Jung, Carl (1960). Psychology and Religion. The Vail-Ballou Press ic. p. 59. ISBN 978-0-300-16650-7. ↑ Jung, Carl (2006). The Undiscovered Self: The Problem of the Individual in Modern Society. New American Library. p. 23. ISBN 0-451-21860-4. ↑ Jung, Carl (2006). The Undiscovered Self: The Problem of the Individual in Modern Society. New American Library. p. 25. ISBN 0-451-21860-4. ↑ Jung, Carl (2006). The Undiscovered Self: The Problem of the Individual in Modern Society. New American Library. p. 24. ISBN 0-451-21860-4. ↑ Jung, Carl (2006). The Undiscovered Self: The Problem of the Individual in Modern Society. New American Library. p. 14 & 45. ISBN 0-451-21860-4. ↑ Jaffé, Aniela (1972); From the Life and Work of C. G.Jung; Hodder and Stoughton, London. ISBN 0-340-12515-2; pp. 79–80. ↑ An English translation of the circular is in Jung, Carl G. (1970); Collected Works, Volume 10; Routledge and Kegan Paul, London; ISBN 0-7100-1640-9; pp. 545–546. ↑ Jaffé, Aniela (1972); From the Life and Work of C. G.Jung; Hodder and Stoughton, London. ISBN 0-340-12515-2; p. 82. ↑ Jaffé, Aniela (1972); From the Life and Work of C. G.Jung; Hodder and Stoughton, London. ISBN 0-340-12515-2; p. 80. ↑ Mark Medweth. "Jung and the Nazis", in Psybernetika, Winter 1996. ↑ Article republished in English in Jung, Carl G. (1970); Collected Works, Volume 10; Routledge and Kegan Paul, London; ISBN 0-7100-1640-9; p. 538. 1 2 Jaffé, Aniela (1972); From the Life and Work of C. G. Jung; Hodder and Stoughton, London. ISBN 0-340-12515-2; p. 83. ↑ Noll, Richard (1994). The Jung Cult: Origins of a Charismatic Movement (1st ed.). Princeton University Press. p. 336. ↑ Noll, Richard (1994). The Jung Cult: Origins of a Charismatic Movement (1st ed.). Princeton University Press. p. 134. ↑ Sherry, Jay (2010). Carl Gustav Jung: Avant-Garde Conservative. Palgrave Macmillan. ↑ Jung, Carl G. (1970); Collected Works, Volume 10; Routledge and Kegan Paul, London; ISBN 0-7100-1640-9; p. 185. ↑ C. G. Jung Speaking: Interviews and Encounters, eds William McGuire and R. F. C. Hull (London: Thames and Hudson, 1978), pp. 91–93, 115–135, 136–40. ↑ Interview with Carol Baumann, published in the Bulletin of Analytical Psychology Club of New York, December 1949. ↑ Samuels, Andrew. (1997), Institute of Historical Research, University of London e-seminar.“Jung and Anti-Semitism”, Also published in the Jewish Quarterly, Spring 1994. ↑ "Laurens van der Post". Retrieved 2007-12-02. ↑ Jones, J.D.F. (2001). Storyteller: The Many Lives of Laurens van der Post. ISBN 0-7867-1031-4. ↑ Liukkonen, Petri. "Hermann Hesse". Books and Writers (kirjasto.sci.fi). Finland: Kuusankoski Public Library. Archived from the original on 10 February 2015. ↑ Birkhäuser, Peter; Marie-Louise von Franz, Eva Wertanschlag and Kaspar Birkhäuser (1980–1991). Light from the Darkness: The Paintings of Peter Birkhäuser. Boston, MA: Birkhäuser Verlag. ISBN 3-7643-1190-8. ↑ Grant, Linda (2003-06-05). "History broke Liverpool, and it broke my heart". The Guardian. London. Retrieved 2010-02-24. ↑ Cavanagh, Terry (1997). Public sculpture of Liverpool. Liverpool University Press. ISBN 978-0-85323-711-2. Retrieved 23 May 2012. ↑ Bondanella, Peter E. The Films of Federico Fellini. p. 94. ISBN 0-521-57573-7. ↑ "BBC interview". 19 February 2011. Jung, Carl Gustav; Marie-Luise von Franz (1964). Man and His Symbols. Doubleday. ISBN 84-493-0161-0. Anthony Stevens, On Jung, Princeton University Press, 1990 (1999). O'Connor, Peter A. (1985). Understanding Jung, understanding yourself. New York, NY: Paulist Press. ISBN 0-8091-2799-7. The Cambridge Companion to Jung, second edition, eds Polly Young-Eisendrath and Terence Dawson, published in 2008 by Cambridge University Press. Robert Aziz, C. G. Jung's Psychology of Religion and Synchronicity (1990), currently in its 10th printing, is a refereed publication of State University of New York Press. ISBN 0-7914-0166-9. Robert Aziz, Synchronicity and the Transformation of the Ethical in Jungian Psychology in Carl B. Becker, ed., Asian and Jungian Views of Ethics. Westport, CT: Greenwood, 1999. ISBN 0-313-30452-1. Robert Aziz, The Syndetic Paradigm: The Untrodden Path Beyond Freud and Jung (2007), a refereed publication of The State University of New York Press. ISBN 978-0-7914-6982-8. Kerr, John. A Most Dangerous Method: The Story of Jung, Freud, and Sabina Spielrein. Knopf, 1993. ISBN 0-679-40412-0. Grossman, Stanley (1979). "C.G. Jung and National Socialism". Jung in Contexts: A Reader. ISBN 9780415205580. Hanegraaff, Wouter J. (1996). "New Age Religion and Western Culture: Esotericism in the Mirror of Secular Thought". Leiden/New York/Koln: E.J. Brill. Wulff, David M. (1991). "Psychology of Religion: Classic and Contemporary Views". New York: John Wiley & Sons. Paul Bishop, Carl Jung (Critical Lives) (Reaktion Books, 2014). Noll, Richard (1994). The Jung Cult: Origins of a Charismatic Movement (1st ed.). Princeton University Press. p. 336. Anthony Stevens, On Jung (second edition). Sonu Shamdasani, Cult Fictions, ISBN 0-415-18614-5. 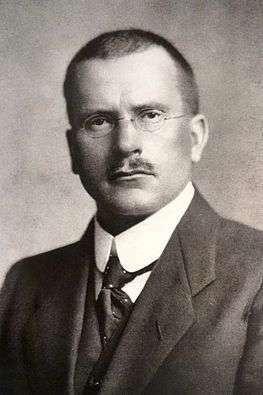 Wikimedia Commons has media related to Carl Gustav Jung.